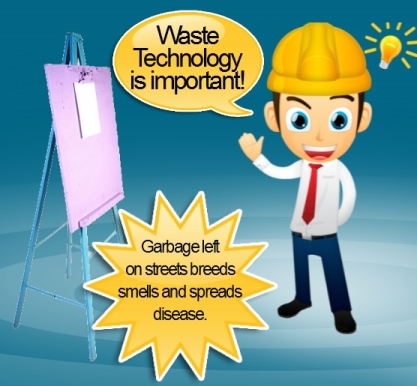 Waste Technology is the technical methods, processes and engineering used to implement waste management. Waste management is the management of household and industrial waste (garbage). At its simplest it involves waste collection and the hauling of that waste to a sanitary landfill where it is properly disposed of. What Does a Waste Management Service Consist of? When a commercial waste manage service is offered to a business, the first step in the process involves developing a waste management solution that meets the customers’ requirements. Once the waste management service offering is running it is continually monitored to ensure that the solution remains the best for the business over time. When developing a waste management solution the following aspects should be considered: the volume of waste generated, the equipment required to process and dispose of such a volume of, a suitable waste collection service schedule, and suitable waste technologies to use (including waste avoidance, re-use, and recycling) to achieve that optimum waste management service. A knowledge of waste streams that are to be disposed of and identify recycling opportunities. It is estimated that in the wealthiest countries people produce up to 4.5 pounds of daily waste per person, add that up over the years and for the population of a major city, and you can easily account for the enormous heaps/ mountains of waste materials produced each year around the world. In the United States alone, an estimate of over 20o millions tons of household solid waste is produced every year. That excludes liquid, gaseous, and other forms of waste materials which we all produce, as well. As the global population rises, waste production is will inevitably increase, and unless proper waste management is practiced in throughout society, planet earth would ultimately turn into one big garbage dump, where pollution and waste-induced diseases were widespread. Waste management is essentially the systematic handling of garbage. It involves the proper way of collection, transportation, and disposal of waste materials. Waste management has been a significant issue addressed in the modern and industrialized generation largely owing to the fact that more waste materials are produced today than ever before in history, and the most critical increase results from the population growth since the industrial revolution. What is the Purpose of Waste Management? The aim of waste management is to minimise the adverse effects of waste generated by human activities on our natural environment and human health. To achieve this goal waste management covers the areas of waste minimisation, effective collection, waste transport, waste processing, waste recycling and waste disposal. 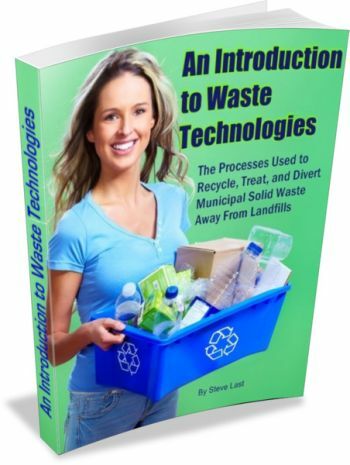 Depending on the type of generated waste and available technology, waste management uses different processes. Different methods are be used for household and industrial waste, and for specialized industrial waste such as those produced during paper recycling and medical waste disposal. The most important and effective method of waste management is preventing waste from being generated initially. If effective methods of waste minimisation are instituted the positive cumulative effect on the sustainability of that practice can be higher than utilization of even the most advanced technologies in waste management. Waste minimisation can be easily achieved by improvements in personal and corporate responsible consumption behavior. An effective waste minimisation policy and reuse of underused or unused resources can drastically reduce the amount of generated waste and enhance sustainability. Waste is a by-product of human development that most of us would rather ignore, but any society which does, will find that they ignore proper waste management, at their peril. Anyone who studies old neglected landfills will find many that provide a shocking insight into the illogicality of our consumption-based lifestyles. Sustainability cannot be achieved without people taking individual responsibility for their waste and in so doing protect public health and the environment. Much of the waste that makes it to landfills is recyclable, and easily removed at source, and yet so much of it is landfilled around the world without much thought about how it can become a huge liability when it remains in landfills for thousands of years before it breaks down. It is not uncommon in countries where there is no real control over waste which is sent to landfills, for over 75% of the total waste to be organic. All such wastes will need to be decomposed before the efluent from them can be disposed to the local environment. Considering this, some responsible communities have made their move towards zero waste by recycling their organic waste themselves, instead of dumping it in their wheelie bins and marked as designated for residual waste. Waste management practices can differ widely for developed and developing nations, for urban and rural areas, and for residential and industrial producers. Management of non-hazardous waste residential and institutional waste in metropolitan areas is usually the responsibility of local government authorities, while management for non-hazardous commercial and industrial waste is usually the responsibility of the generator subject to local, national or international controls. Bangalore city generates almost 3,500 tons of waste daily which is collected by the garbage collection vans and is taken to the landfill sites around the city for garbage disposal. With time, the availability of landfills for dumping waste is becoming difficult. Moreover, all the landfill sites are reported to be contaminating the underground water, land and air and thus are posing a challenge for the environment. Integrated waste management is a holistic approach to dealing with municipal garbage, also known as Municipal Solid Waste (MSW). It involves the collection and separation of refuse so that non-organic materials can be recycled or reused and organic materials can be composted or processed to produce fuel for energy generation. Incineration – The second most common means of waste disposal (after landfill which is the most commonly used), this can range from simple open burning in less-developed regions to large and highly engineered facilities in advanced areas that practice “thermal treatment,” a process for converting incinerated waste into reusable heat, steam, gas and ash. Incineration is most actively used in densely populated nations like Japan, where the limited amount of land makes landfills impractical. Waht is a Waste Management Facility? A waste management facility is a place where solid waste, reusable or not, is processed and the tonnage of waste sent to landfill is minimized (for example by sorting and recycling) before it is sent to its final destination. The term is usually not synonymous with landfill (garbage dump), although it may be located on the same site as a landfill, and may be considered a better alternative to simply lumping together all refuse a society produces as “residual waste”. A waste management facility’s component “waste technologies” varies greatly depending on waste types and location. The one thing all such facilities have in common is that they deal with discarded materials, with the intention of storing, altering, or destroying that waste. Finding, and adopting, better ways of minimizing waste and rendering it less environmentally damaging if it escapes, are at the core of all waste management facility’s primary functions, and many countries do now invest substantial resources into improving waste management facilities. © 2019 Waste Management Technology. All Rights Reserved.